Tucked in an isolated corner, the sandy beach is perfect for aquatic sport enthusiast, relaxing afternoon tans or just a simple evening stroll. It have been the spot for annual events such as the Silvermine Bay music festival and Dragon boat racing competitions. 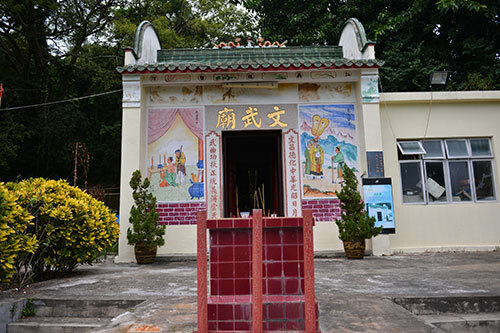 The Hung Sing Temple is located at Chung Hau. Originally, it frequented by Chinese sailors to pay respects to the God of the Sea before voyages. Built in 1736, during Qianlong’s Emperor’s first year of reign, it presents an interesting perspective to the rich local cultural history. This temple was constructed during the Ming Dynasty (1573-1619), it is the oldest Man Mo temple in Hong Kong. Chinese scholars from the era as well as modern day students visit the temple to pray to its two deities Man Cheong Tai (God of literary excellence) and Mo Tai (God of martial prowess). It was common belief that the most exemplary individuals would posses both wit and might and serve the country as ‘Guan’ or Government officials. One of the more recent historically significant attractions at Mui Wo. 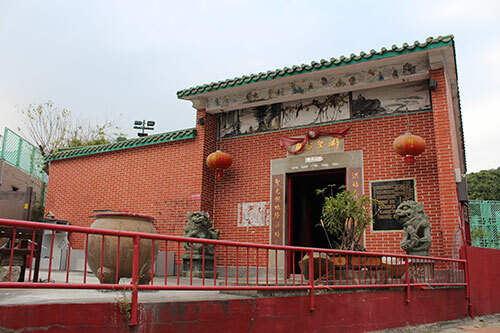 The Yuen’s mansion is located at Chung Hau village, and was constructed by the Yuen family in the 1930s out of granite. 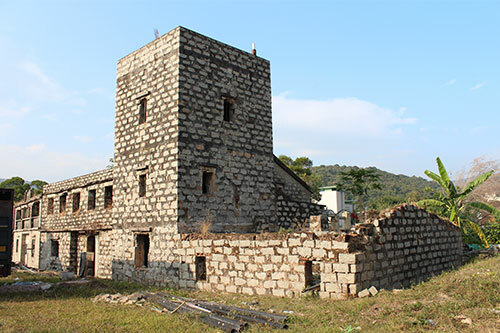 The facility includes a 80 year old watch tower constructed to protect Mui Wo’s residents from pirates and Japense invaders. 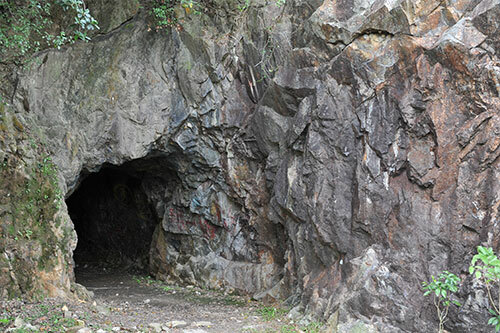 Located at a short stroll from the base of Silver Mine Hill, the Silvermine cave was a functional silver mine from 1862 to 1896. The mine was shut down due to the poor quality of silver produced but have functioned as a tourist attraction ever since. One of the rare natural sights in Hong Kong, the Silvermine waterfall is perfect for photographers and nature lovers. During the raining season May-September, the water swells and transforms peaceful attraction becomes a majestic spectacle. 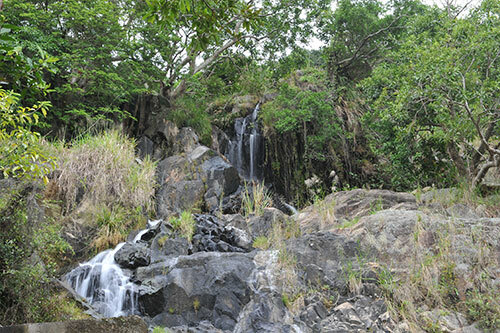 A garden is located nearby whereby family and friends can enjoy the picturesque view without risking getting wet. Mui Wo is currently the largest nature park in Hong Kong. Its conjoining villages stretches through the country park, offering a rare escape from the hustle and busle of Hong Kong city. It is perfect for hiking and walking all year, and is perfect for a picnic on a fine day. Some of the most popular trails includes the Olympic trail and the South Lantau country trail although routes are available for all levels of experience. Scenic cycle routes are available throughout Mui Wo as an alternative to explore the villages and hamlets in the area. Bike shops are available for riders without bikes and can conveniently located at the beach or ferry pier. It can be pre-booked in advance from local bike shops such as Cheung Kee at the beach. 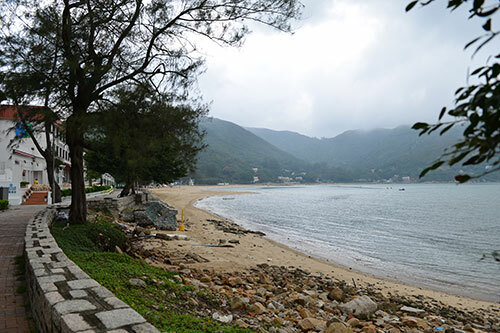 Mui Wo boasts to be once of the less populated beaches around Hong kong. A short stroll along the beach promenade would allow oneself to enjoy the stead rhythm of waves beating along the peaceful beach. The beach also has a supervised swimming area, sailing and volleyball facilities. Barbecue pits are also available for those that would enjoy a relaxing day by the sea. Taking to the water is a gentle and relaxing way to relief your stress from the city. When the weather permits, boats can be rented from the local shops for a fishing day out to sea or canoes for those who seek a challenge.